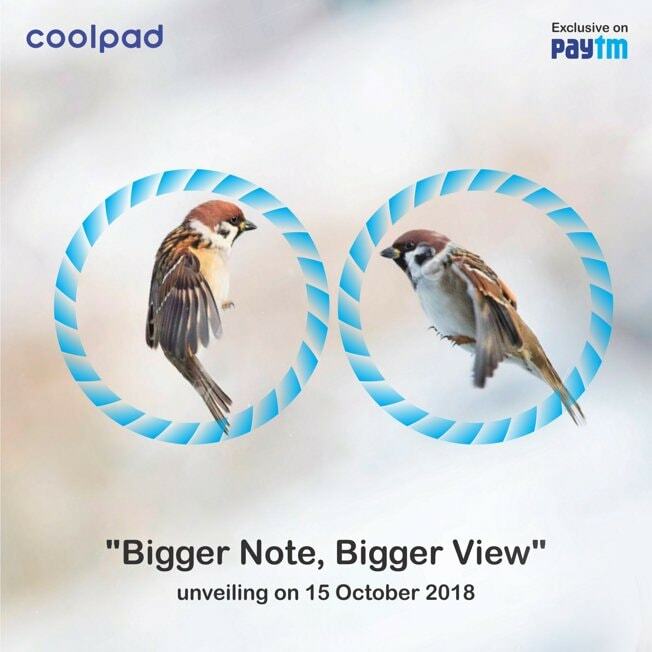 The upcoming Coolpad Note 8 will be exclusively available on Paytm Mall. 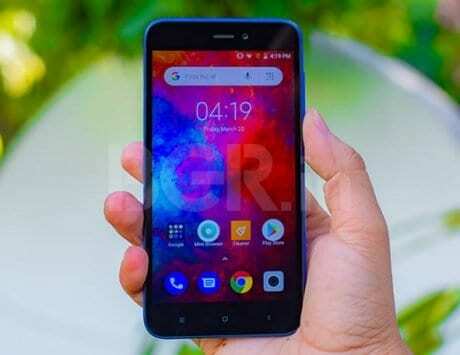 Coolpad may not be a household name like Xiaomi, but it is by no means a newbie. 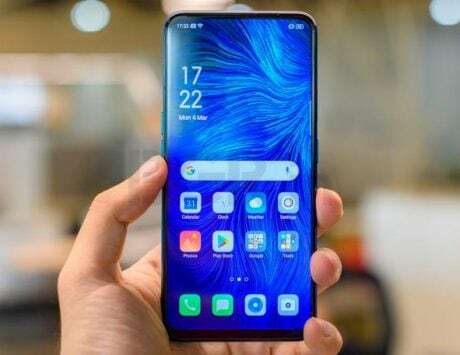 The Chinese company has been in India for quite sometime, and it is now gearing up to launch a new smartphone. 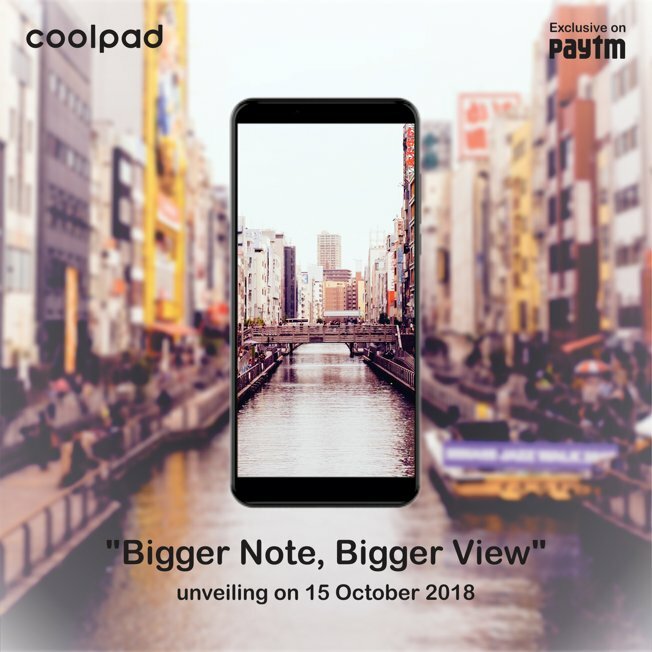 Coolpad has revealed that it plans on launching the Note 8 smartphone in India on October 15. 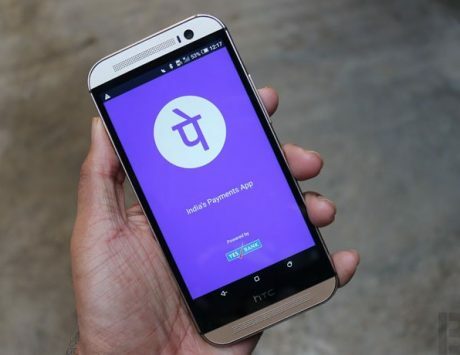 The device is being launched in association with Paytm, and it will available exclusively on Paytm Mall post launch. Not a lot is known about the upcoming, which will be succeeding the Note 6 launched earlier this year. Coolpad has however shared a couple of teasers that tease the key features. The first teaser shows the outline of the upcoming device with the caption, “Bigger Note, Bigger Display”. 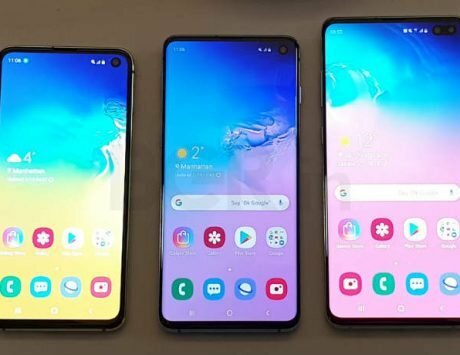 Looking at the teaser, it is confirmed that the Note 8 will feature a large display with thin bezels on the sides, and a tall 18:9 aspect ratio. 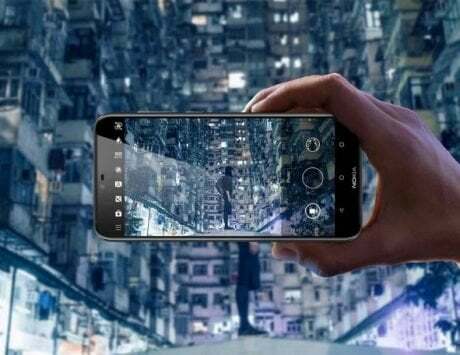 The second teaser is a clear hint towards the device sporting dual-camera setup for photography. The rest of the Note 8’s specifications and features are a mystery. For perspective, the Coolpad Note 6 was launched earlier this year with prices starting from Rs 8,999. 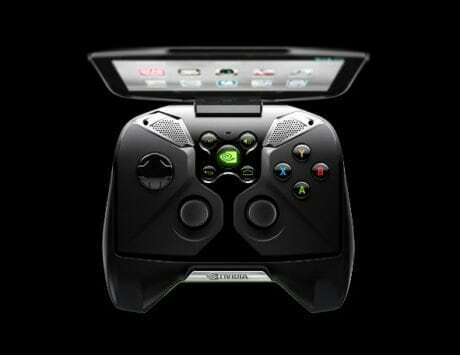 The smartphone’s highlight was the dual-selfie cameras onboard. To recap on the specifications, the Note 6 featured a 5.5-inch full-HD display, Qualcomm Snapdragon 435 octa-core SoC, and 4GB of RAM. There were two variants to choose from – 32GB variant priced at Rs 8,999, and 64GB variant priced at Rs 9,999. The smartphone also featured a 13-megapixel primary camera, and a combination of 8-megapixel and 5-megapixel snappers up front. 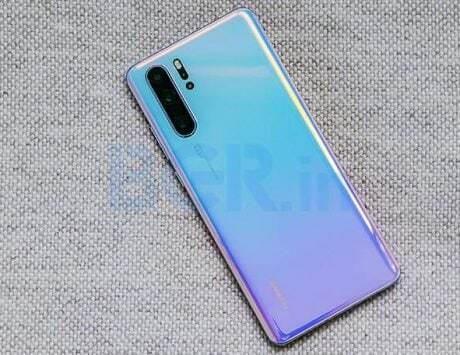 Other features include microSD card slot, 4,070mAh battery, and connectivity options like dual-SIM card slots, 4G VoLTE support, Wi-Fi 802.11 b/g/n, Bluetooth v4.1, and GPS/ A-GPS.